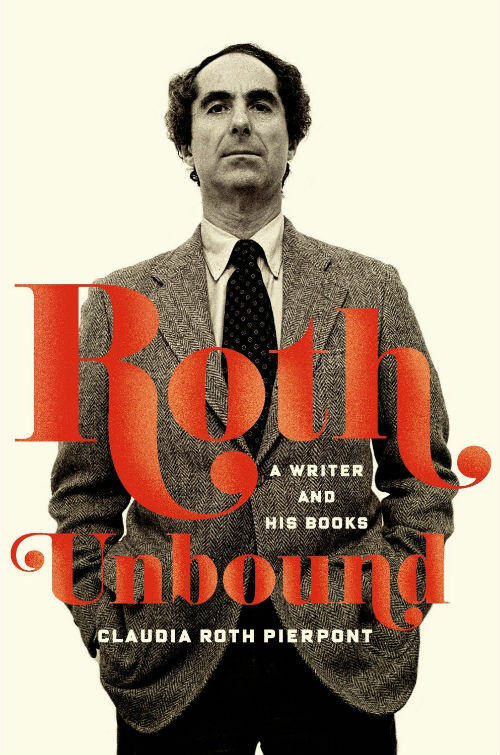 Here is a book for all novelists, Philip Roth fan or not, (full disclosure, I’m a fan) for its insightful and instructive inside look at the working process of this acclaimed author. Despite the Jewishness (rightfully) associated with Roth’s writing, it is the adjective ‘American’ that Pierpont presents as most apt to describe the author. Roth himself identifies first as an American writer and through his work he has chronicled key moments in the social, political, and personal upheavals of the last century. He credits one of his own literary idols, the novelist Saul Bellow, with an opening line he considers one of the best. In The Adventures of Augie March, Bellow begins, “I am an American, Chicago born…” Although Roth gained his reputation, along with gaining the wrath of much of the New York Jewish rabbinical contingent, with his insanely riotous fourth book, Portnoy’s Complaint, published in 1969, he firmly cemented it with his later work, particularly the three books referred to as his American trilogy, American Pastoral (1997), I Married a Communist (1998) and The Human Stain (2000). In these three powerful novels, Roth takes on the violence of revolutionary ideals of the sixties, America’s fascination with political gossip and witch hunts, and one man’s battle with identity and prejudice, living with secrets and lies, eventually being brought down by his own deceptions. Between 2006 and 2010, Roth produced four novellas, each of which deals with aging, loss, chance misfortune, and death. These works, Everyman, Indignation, The Humbling, and Nemesis (his last book), bring to bear Roth’s lifelong assertion that “we are helpless before history, aging, other people, our endless getting of everything wrong: the unknowable future.” Pierpont writes that “Roth says today that a reasonable overarching title for (this) series of books would be Blindsided: An American Trilogy.” This despite the fact that there are four books. The joy in reading Roth Unbound for the Roth fan is in revisiting the author’s novels and their protagonists. To hear Alexander Portnoy try to explain the insanity of his parents to his psychotherapist. To meet again Mickey Sabbath, the out-of-control retired puppeteer in his misery over lost lust. To recall Roth’s stand-ins, Nathan Zuckerman and Peter Tarnopol. And David Kepesh, who suffered the misfortune, or perhaps not, of waking up one morning to discover that he had metamorphosed into a giant breast. Swede Levov, the hero of American Pastoral, one of Roth’s most benignly painted characters, whose perfect, all-American life is shaken by his daughter’s descent into the world of Weathermen revolutionaries. Maureen Tarnopol, Roth’s stand-in for Maggie, his first wife and the cause of years of misery, in My Life as a Man, the book it took Roth so long to write because of its emotional toll. Imperfect characters all, to understate it, complex men and women invented by Roth not out of whole cloth, but from the richness of his life, the familial characters, his observations of the human condition and its tragic comedy. For all the praise Pierpont heaps on Roth’s work, she is careful to point out the less successful novels as well. The ambitious and youthful Letting Go (1962), his first full-length novel, is described by Pierpont as “overlong” and “laborious”. Roth, looking back, says, “I felt I had to put everything in, I was writing a big, American novel.” Our Gang, published in 1971, is a satire of Richard Nixon and his gang that may have been overreaching, and which Pierpont calls an “unruly novel.” In The Humbling, one of Roth’s late novellas, Simon Axler is an actor who has lost his powers. He can no longer perform on the stage. The book received “harsh reviews,” according to Pierpont, and it is a sparse and demoralizing account of a man at the end of his creative life.